I am having a sale of some ex-gallery framed photographs have have been sitting in my office for far too long. These lovely prints have all been shown at the Joe Cornish Gallery Summer Open Exhibition during 2012. I am delighted to be able to offer them for sale on my web site : www.andrewbarnes.co.uk/sales. “Badebro” – (bathing bridge), or a bathing jetty, at sunset on Smidstrup Strand near Gilleleje, North Zealand, Denmark. “Badebro” (bathing bridge), or a bathing jetty, on Smidstrup Strand near Gilleleje, North Zealand, Denmark. 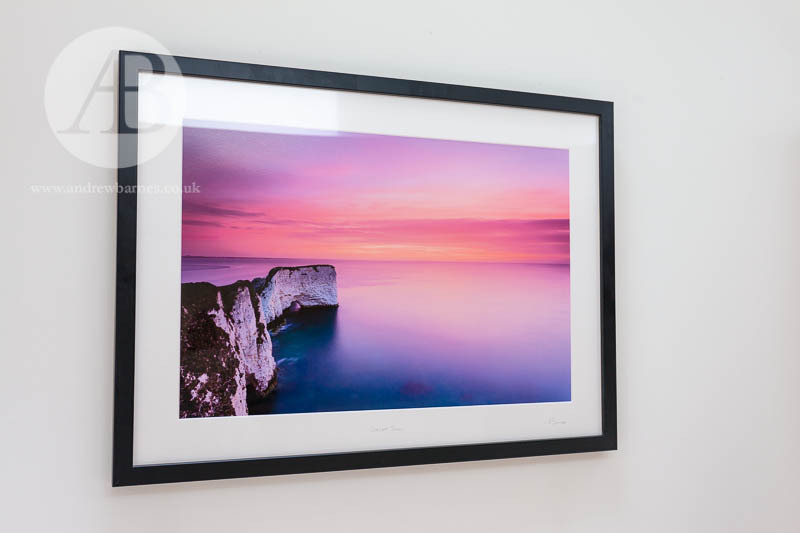 “Dorset Dawn” – a view of Old Harry’s Rocks on Dorset’s Jurassic Coast taken just before sunrise. “After The Storm” – a view of the wind-whipped Kattegat from the beach at Smidstrup Strand, Denmark. The images are signed, mounted, framed and ready to hang. As the photos are ex-exhibition and there are some very small marks on the edges of some of the frames I am offering them for sale at a special price of £175 each. 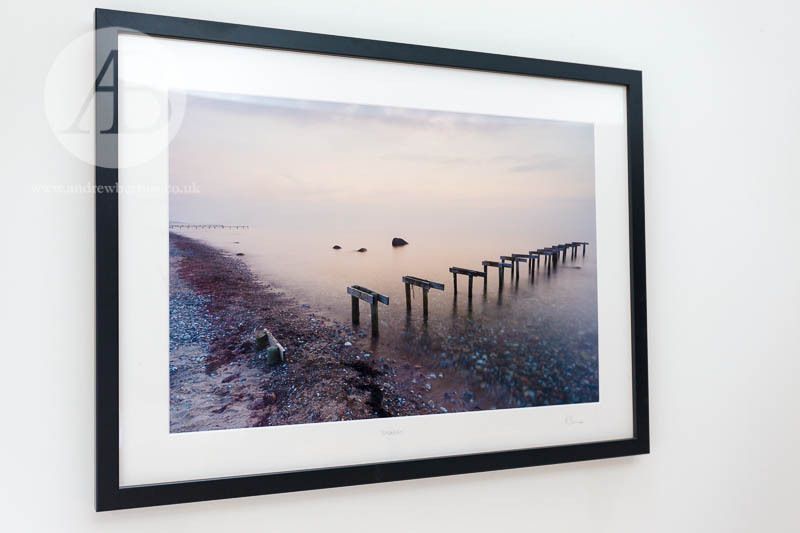 This means that you get a fully framed print for the same price as an unframed, mounted print. These three framed prints are available on a first come, first serve basis. P&P is £17 for courier delivery anywhere within the UK except some parts of the Highlands and Northern Ireland, or free for collection in person from south-west London. The measurements are 68cm x 50cm (frame), and 53cm x 35cm (image). The mount is white with a slight textured surface, and the frame is pine with a smooth matt black finish. The photographs are mounted behind acrylic safety glazing. 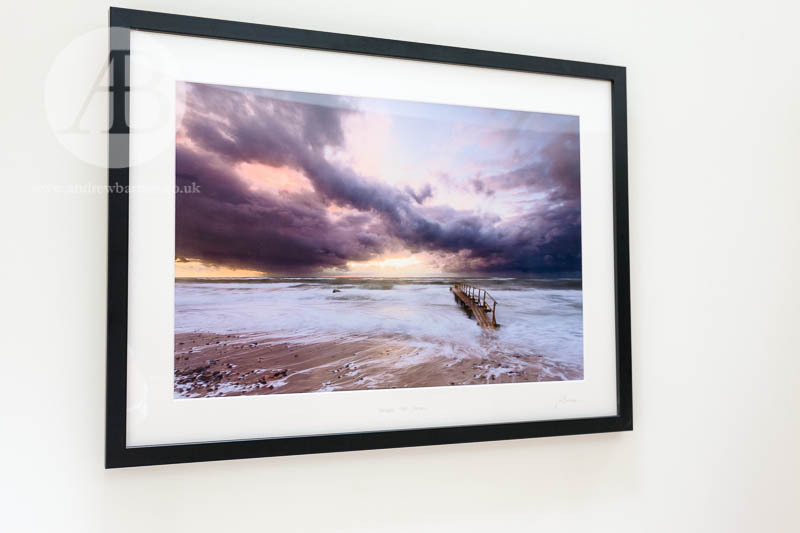 If you miss out on buying any of these framed photos you can still buy original prints of the images online by visiting the Seascapes gallery on my web site and clicking on the Buy button next to the photo.